The topic selected by UPAEP issue of 2010 was "National Symbols". It is normal that the countries portrait in the stamps their flag and / or coat of arms. 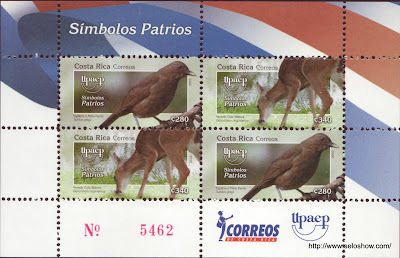 Costa Rica however issued the UPAEP stamps with animals from its fauna. 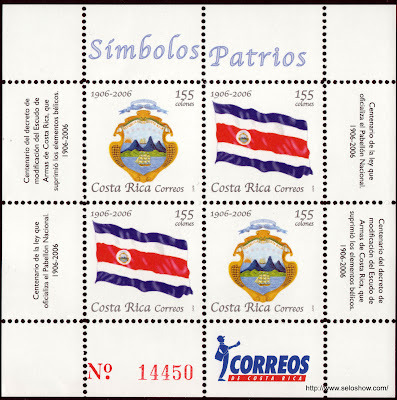 The most likely reason is that Costa Rica issued a non UPAEP serie, on 2006, displaying the country flag and coat of arms. Indeed it would be not interesting to issue similar stamps again in 2010.